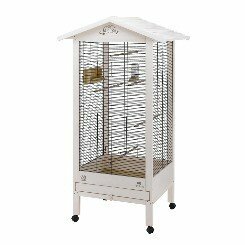 Hemmy is an elegant aviary for canaries and exotic birds. It is made of wood and has refined decorations of small birds in the front area. 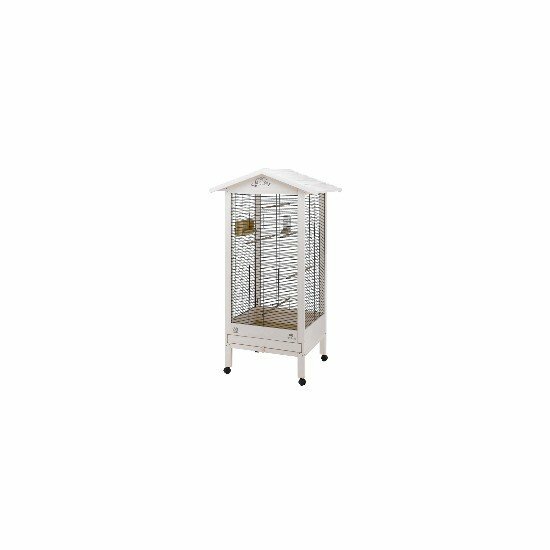 Hemmy is a modern, carefully designed wooden aviary, painted in delicate pastel colours and comes complete with everything you need to accommodate several birds together, in comfort. It is easy to clean, thanks to its removable inner tray. It also has wheels, making it easy to move to your favourite spot. Inside, you can place the essential accessories included, like perches, a plastic drinking bottle and Brava 6 swivel feeders. Hemmy is Ferplast's first Treefriend brand item. This is the product range in which the only wood used comes from forests managed in accordance with the principles of environmental sustainability.